- Pad lock system with concave backbone resists movement and increases performance. - Salmon pads for wet and muddy conditions. 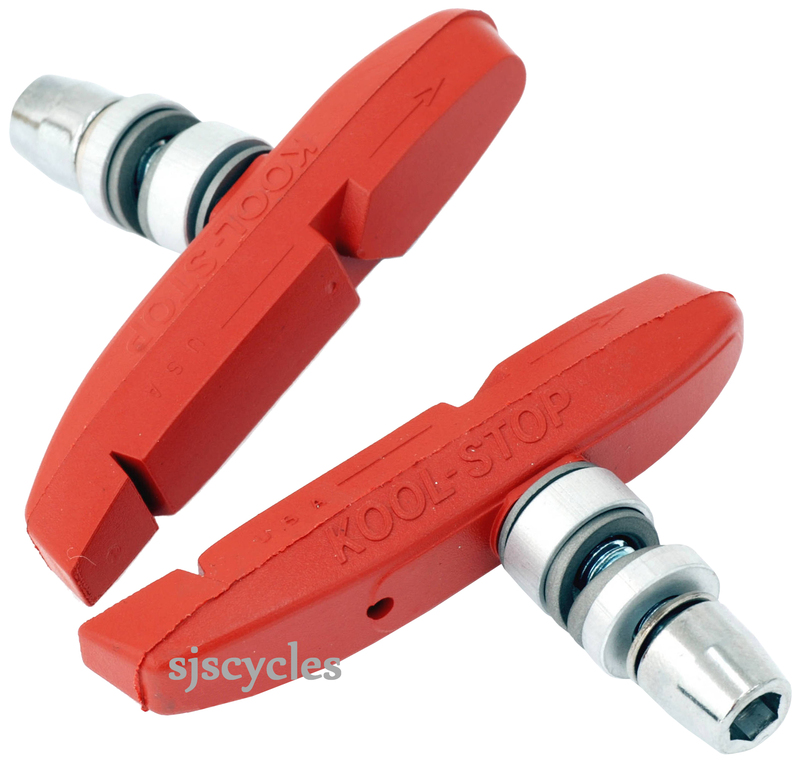 Not only better stopping, but these seem not to attract tiny chips of metal which stuck in my other blocks and ground down the rims extra-fast. I don't understand their name though - they work well in both wet and dry, but are you meant to choose your blocks and swap them over when the clouds come and go? Not up to much so far...even on wet roads. somewhat overpriced as well.